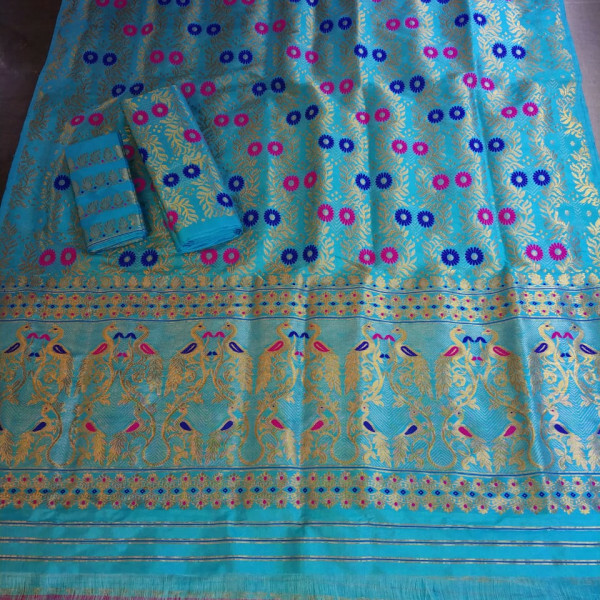 It’s a beautifully designed like Peacocks in Guna work with Blue and Pink mina works all over the body i.e. on Sky blue colour. 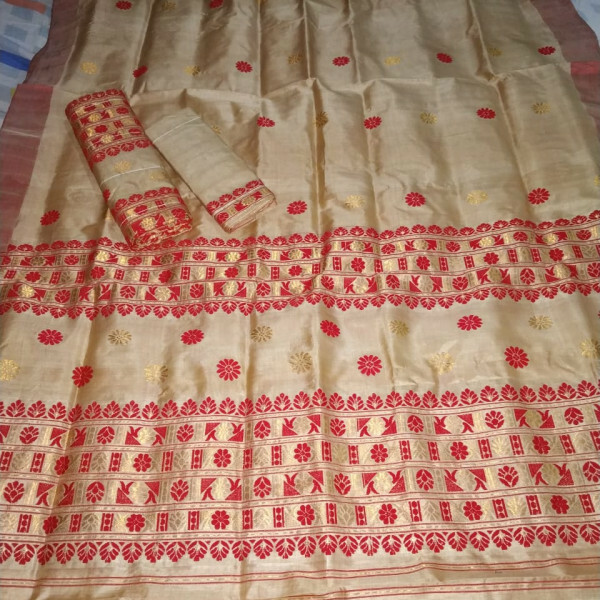 Assam Silk Mekhela sador always gives a gorgeous and different look to all. 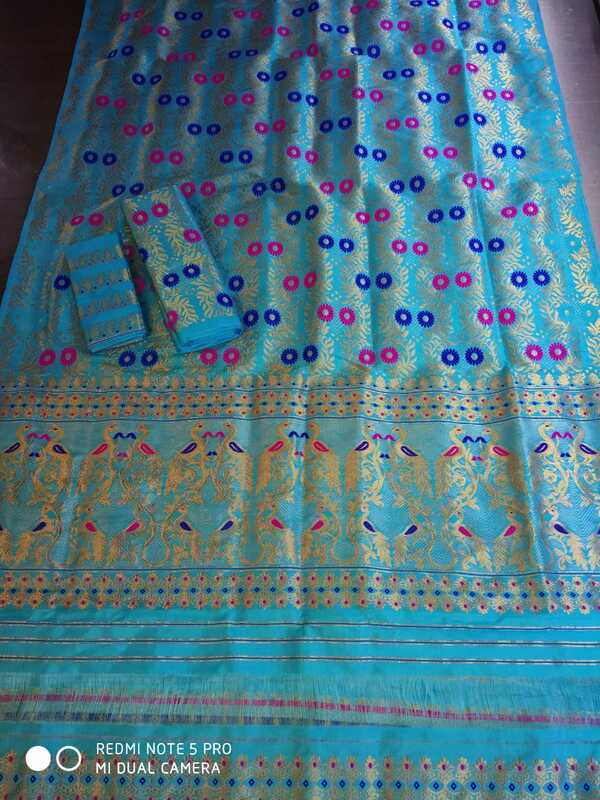 Here designer gives a very gorgeous look to the Mekhela Sador in Pure paat material having Silk Mark. 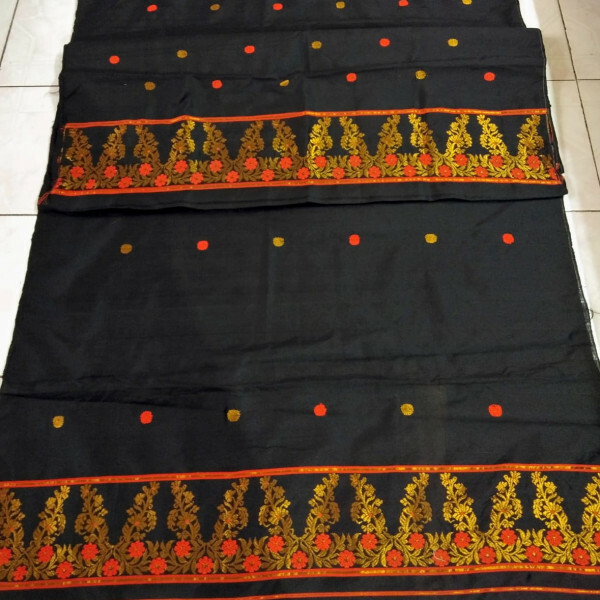 Mekhela and Sador are having same design and colour with a designed work on the blouse piece. This set is having Silk marked tag.